Public Open House Sat, February 23rd from 10 to 1. Cottonwood Meadows - Southern Maine's Newest Premier Neighborhood! Conveniently located, and surrounded by 17 acres of woodland reserved for the neighborhood property owners. 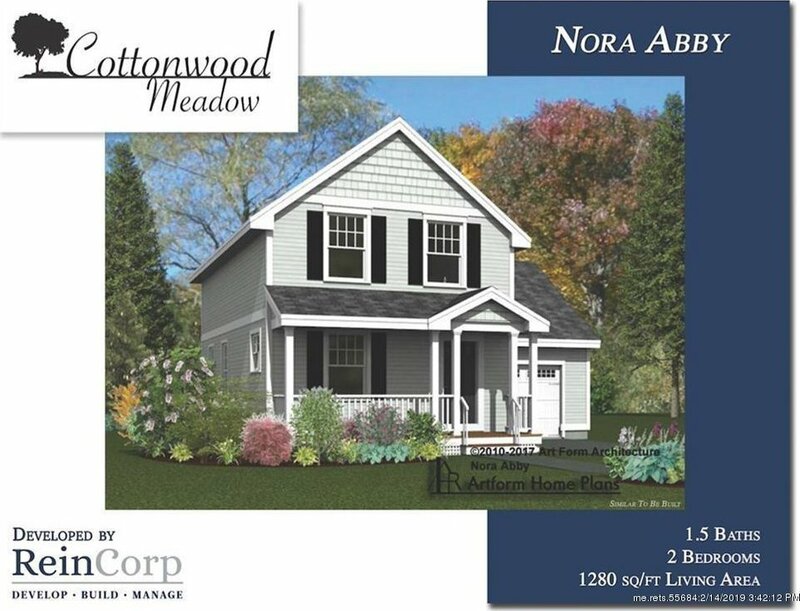 The Nora Abby is an attractive New England style home with excellent curb appeal. This 2 bedroom, 1.5 bath home has a well designed floor plan and will be a quality new build by ReinCorp. Features include an open concept floor plan, new appliances, 2nd floor laundry, 1st floor half bath, fire suppression system, front porch, and efficient heating. Optional attached garage is available. All this within 9 miles of I95 exit 19, 12 miles of Wells Beach, and 45 min of both Portland and Portsmouth. Community amenities include a $100 million high school/regional technical center, a renovated Junior High and Elementary Schools by 2020, and excellent trail, park, and field systems. Orioles Way is located off of Country Club Rd #3. See info packet for mapping details.